Flight time 1HR 25MINS FROM LONDON. 6HRS 35 FROM NYC. Beyond the charm of Edinburgh and the intrigue of Loch Ness, there is a whole lot more of Scotland to uncover. Up in the Highlands and out to the Hebrides, an ancient folklore is carried in on blustery winds to reveal a stark beauty that will leave you mesmerised. Spend ten-nights hiking hidden routes, speeding across choppy waters and revelling in the splendid isolation of this raw and untouched corner of the country. 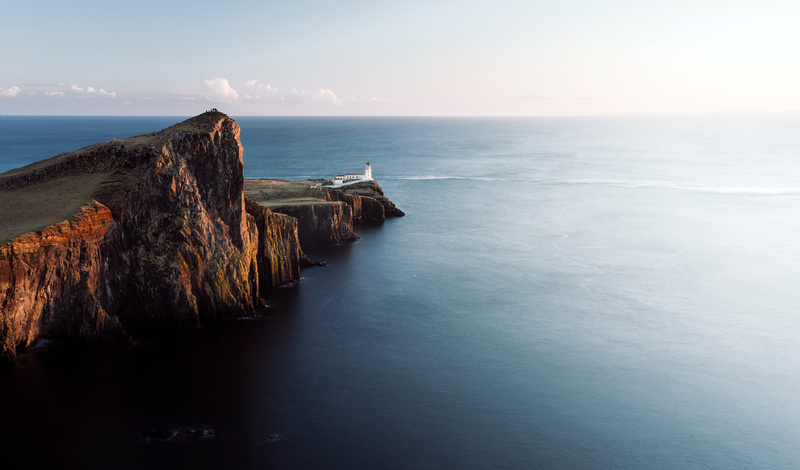 Our Scotland experts have mapped out unique routes that will take you far from the tourist trail to show you a lesser-known side to the Isle of Skye before whisking you into the Inner Hebridean Islands in style in a private zodiac and taking you behind closed doors on private whisky tastings. At the end of each day, retreat to luxury highland lodgings and tuck into some hearty fare – after all, you’ve earned it. So, lace up your hiking boots and discover our favorite side of Scotland. We’ve all heard of it, we’ve all marvelled at its wild beauty from afar and we’ve all dreamed about one-day setting foot on its shores. Flying into Inverness, we’ll whisk you up to this most famous Hebridean Island, stopping off along the way for a quick wave to Nessie on Loch Ness. Arrive on the Isle of Skye and get acquainted with local culture in the main town of Portree, before heading out on a twilight hike along the shores of Loch Snizort. As the sun dips down behind the ruins of Caisteal Uisdein, you’re sure to get a sense of the indescribable magic of Skye. The next morning, after a visit to Dunvegan Castle which has been home to the Macleod Clan for over 800 years, you’ll take a step back to discover a lesser-known side to Skye. Hiking the Macleod’s Maidens trail, you could quite easily go the day without seeing another soul. Wind your way along the narrow coastal path to discover the tiny clearance village of Idrigill and the towering sea stacks that line the coastline and marvel at the awe-inspiring views that greet you at every turn. In the evening, return to your hotel and put your tired feet up before enjoying a delicious meal. Tomorrow, you’ll head out further into the North Sea to the Outer Hebrides and the St. Kilda archipelago where you’ll explore this rugged UNESCO site. Leaving the Isle of Skye behind, you’ll stop off at the Morar coast where the sands are so soft you could easily mistake them for those of the Maldives. Hike along a coastal trail to a remote bothy outpost before continuing across the mainland, past the Glenfinnan Viaduct to the sweeping hillsides of Glencoe. Here, a rough ascent awaits as you hike along the banks of a tumbling stream to discover the Lost Valley of Glencoe. A place where mysterious valleys lay hidden behind sky-high mountain tops and clans would hide their hustled cattle in days-gone-by, there is an irresistible sense of intrigue to this corner of Scotland. From Glencoe, you’ll then continue down to Oban where you’ll hop across to the tiny island of Kerrera. Home to less than 50 people, take a walk on the wild side as you hike around the island, taking in the ruins of Gylen Castle and opening up onto spectacular views of the other islands. The next day, we’ll take you closer still on a private zodiac adventure that will see you speeding up the Sound of Mull to the colorful town of Tobermory before cruising along the west coast. Whizzing past basalt cliffs with seabirds soaring overhead; it’s the great outdoors at its best. Back on the mainland, take a hike through the ancient standing stones, burial mounds and ring carvings of Kilmartin Glen and atop Dunadd Fort for an unbeatable view over the Glen and Moine Mhor. Next, you’ll be taking to the Witch Trails of Fort William as you mountain bike in the shadow of Ben Nevis in an adventure that’s guaranteed to get the adrenaline pumping. Overnighting in the Cairngorms, the next morning you’ll get up for one last hike through the ancient Caledonian pine forests to discover the hidden lochs and sub-Arctic plateaux that give the Highlands its wild and rugged reputation. 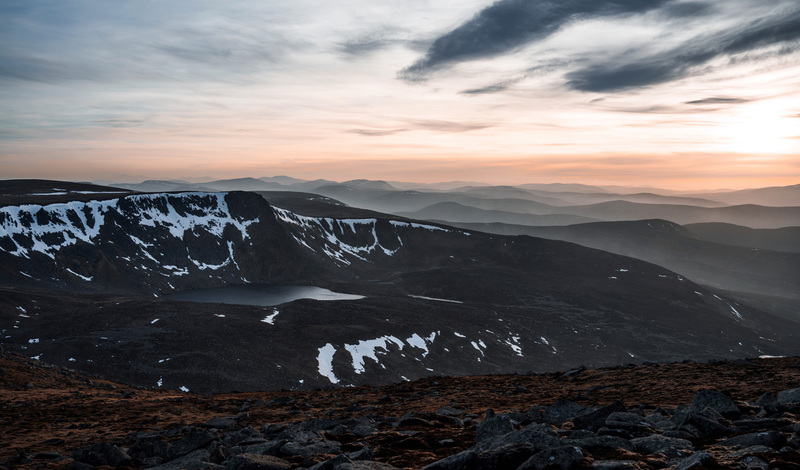 Choose between a more leisurely hike into Lochan Uaine and Ryvoan Bothy or set yourself one final challenge and summit Meall a’Bhuachaille for breathtaking views of the Cairngorms massif. To reward all of your hard effort, you’ll round off your glimpse into Scotland’s secrets with an exclusive private tasting at a closed-door whisky distillery. The next morning, it’s time to put your hiking boots away as you wave farewell to the Scottish Highlands and return home. But next time you hear talk of the Isle of Skye, just know that you’ve seen it as few others have, in all it’s raw and untouched glory.